Contact Prime Minister of Pakistan by taking reliable source of info from here. We are pleased to inform you that on this page you can get official numbers and mailing Id of Prime Minister House as well as PM office.Through getting such contact info you can meet your grievance and complaints against any institutional body of Pakistan.Email address and contact through PTCL both are reliable communication ways for accessing PM Pakistan.Its sublime initiative taken by the federal govt to publicize such info in order to accommodate the complaints and suggestions of general public on daily basis. The Prime Minister Secretariat is the official residence and principle workplace of the Prime Minister of Pakistan located in 44000 Constitution Avenue, Islamabad, Pakistan. It has been an official residence of every Prime Minister.Just Follow the given below contact info in order to get speedy remedy against any mischief or wrong doing of the govt department. 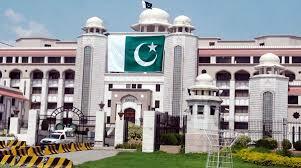 PM office Adress:- Constitution Ave,Islamabad. PM Residential Address: House # 20-H,Street#10,F-8/3 Islamabad. Above mentioned information are most trust worthy and confidential information which have been provided over here as well as on the PM official website too. For getting more updates regarding Federal as well provincial govt bodies info keep in touch with us. how much Kashmir PM PAKISTAN want to make its part, whole or some part: PM open yours mouth we will put whole Kashmir in it, but you won,t be able to digest it, there is no need of crying for Kashmir, no one will hear yours cry.